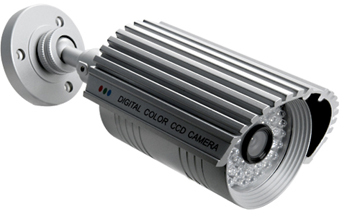 High Definition ( an amazing 520 TV Lines) Wired CCTV camera with SONY Super HAD Colour CCD, vari-focal 3.5 - 16.0mm lens, high power infrared L.E.D's giving a night vision distance of 40 meters, with an IP66 fully weatherproof casing. This camera with its high definition 420 TV Line output and compact size is the ideal choice for surveillance situations where image quality and detail must be a high standard. Order more that one of these cameras to qualify for multiple unit discount, simply select the number you require in the drop down menu above the add to cart button.